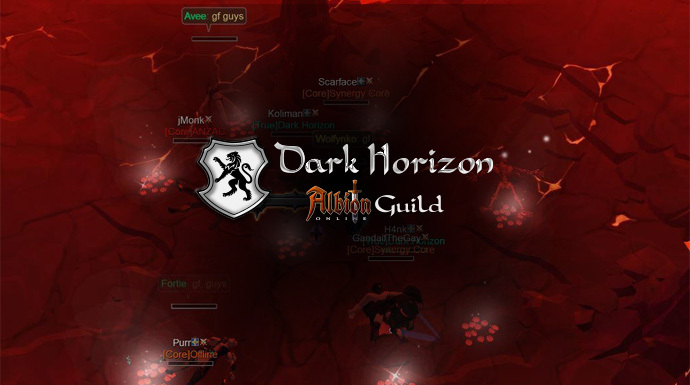 In this week’s guild spotlight, we are meeting up with Dark Horizon. 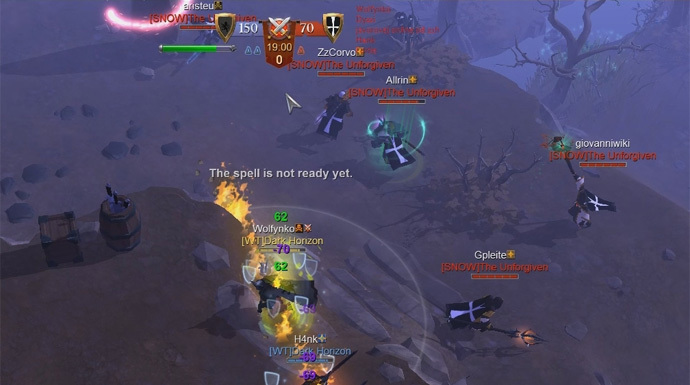 They call themselves the strongest Czech/Slovakian guild in all of Albion! When I met up with Mychy and Wolfynko, the guild leaders of Dark Horizon, I could tell right away how much enthusiasm they had for their guild and the game. Together we talked about the reasons behind the creation of their guild and about their goal of becoming the #1 Czech/Slovakian guild in Albion Online. Enjoy! Dark Horizon was founded by Mychy and Wolfynko, roughly two weeks after the Final Beta started. 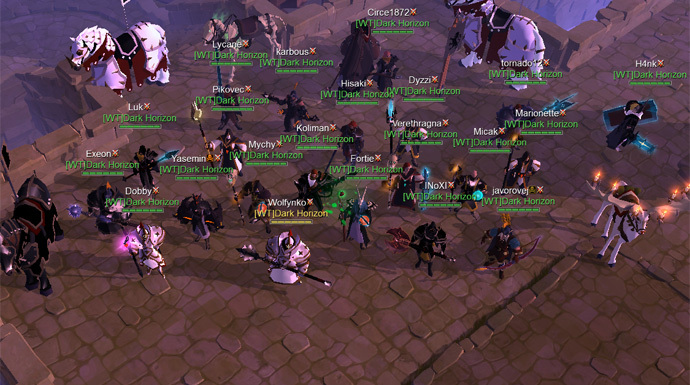 Before they decided to create their own guild, both were members of the Czech guild Czeco, which they joined in the first Beta Test of Albion Online. Both of them became unsatisfied with their former guild lead. “The main issue with them was their inactivity. We had a lot of active and dedicated members in the guild but without the support and the leading of our guild master, the guild wasn’t able to progress in any way. 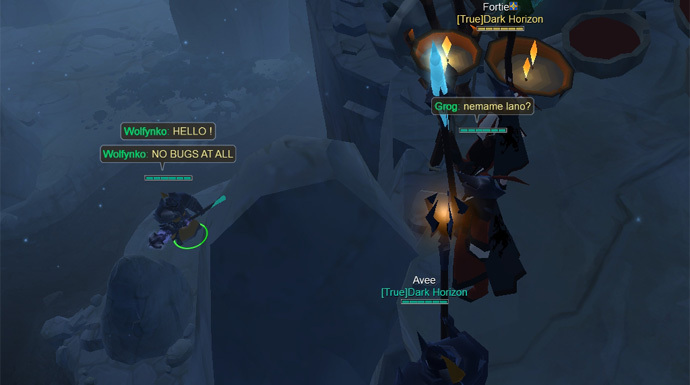 After they wanted to rush into the black zones, while the guild was definitely not ready for that step, we had a talk with some of our fellow members, followed by an enunciation with our leaders. As a result of that discussion, we decided to leave the guild and to create our own, where the opinions of the members actually matter. In the end over 90% of our old guild followed our example and joined us under the banner of Dark Horizon,” Wolfynko explains. 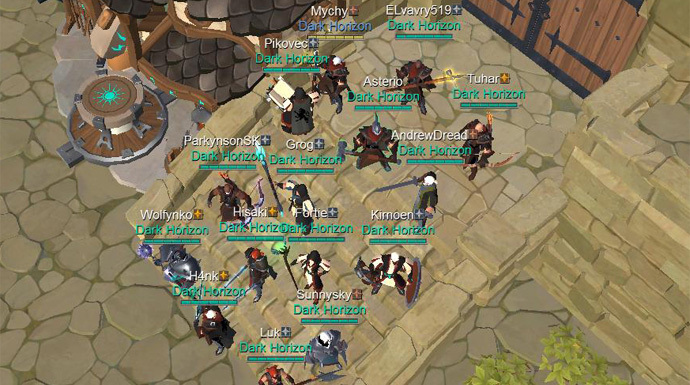 Created with the goal of becoming the strongest Czech/Slovakian guild in all of Albion Online, Dark Horizon always focused most of their efforts and resources on PvP. Today, the guild owns three red cities and another three territories around them. Their plan was a success and Veterans Guild withdrew from the conflict by fleeing into the black zones. “There was no reason for us to chase them into the outlands, we won the fight and our base was located around Short Wetherford. We even stopped monitoring their movements and from what I know they have become fairly inactive anyway,” Wolfynko states. After they won their war against Veterans Guild, Dark Horizon’s next goal was to conquer Whitepeak and the surrounding territories. By chance the occupying guild of that area was ICE and so their next rival was chosen. The majority of that conflict’s fights were GvGs. Dark Horizon was aggressively attacking the territories of their new target, pushing them back, taking territory by territory. “Our first strike hit them unprepared and we managed to take two of their territories right away. After that, they were not able to stop our advance. Yes, they managed to win a few of their counter-attacks but with minor adjustments in our setup we kept pushing them,” Wolfynko informs me about their campaign for Whitepeak. The highlight of the war between Dark Horizon and ICE, was the battle for Whitepeak. For that last and decisive final, both guilds called their alliances in for help and an all-out war began. The Weltenbummler alliance emerged victorious and they ended the reign of ICE over Whitepeak. Up until today, Dark Horizon is still holding the city for their alliance. Yet the guild is currently in somewhat a slump and they have lost two of their territories to the simultaneous attack of HI5 and The Unforgiven. “Recently, a few of our members decided to take a break from the game. Unfortunately, the guys that left were from our GvG teams and so we dropped from our initially three teams down to only one. When we were attacked, we had to decide what guild we wanted to defend against but we made the wrong decision and ended up losing both of our territories. The Unforgiven’s team was just too unforgiving on our mistakes,” Mychy confesses. Right now, the guild is working on reestablishing their second team to prevent things like that from happening again. “We were active from the very first day of the Final Beta and we will stay active, roaming on every battlefield looking for some competition. Should we ever get beaten down, we will stand right back up coming for that counter-attack. Never give up, never surrender! Do you remember any encounter you had with our featured guild? Share your thoughts and opinions on Dark Horizon with us on our forums!